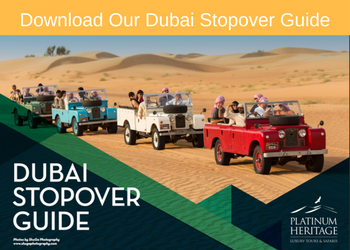 The Desert, with its living resources, was given a special interest and care by the late Sheikh Zayed bin Sultan Al Nahyan. Sheikh Zayed considered the desert, with all of its animal and plants a blessing from Allah that we should protect and use sustainably. Sheikh Zayed said: “Cooperation between human beings leads to compassion, which Allah has dedicated. Man has to compassionate towards his human brother, animals and plants. All will be compassionate towards the compassionate”. He also sought to protect and develop the various living resources in the UAE’s desert in order that they might live in harmony with urban and human development. In addition, he established many protected areas and issued environmental laws and regulations to ensure the sustainability of this natural wealth. Protecting endangered species came at the top of the list of priorities for Sheikh Zayed. 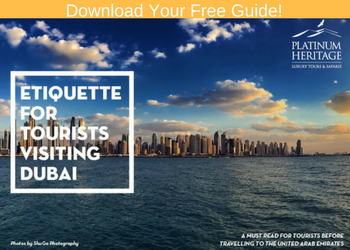 He looked at this issue not only from an environmental perspective but also because such species are part and parcel of the national identity of the UAE. He said on this matter that: “the environment is a dear part of our heritage, civilization and future. Moreover it represents a great emotional value of our consciousness so we took great care to exert every effort to protect it and protect our wealth”. The Arabian Oryx was on the verge of extinction. He realised that such species will face many dangers as a result of rapid urban development and the use of modern technologies, as well as from non-sustainable human practices. “We contributed to the protection of antelope from extinction. When we planted millions of trees and spread the greenery throughout our country, we provided a suitable environment to the birds and animals that used to live here for thousands of years and for millions of immigrant birds. In spite of all what have been achieved, still there is much to be done”. 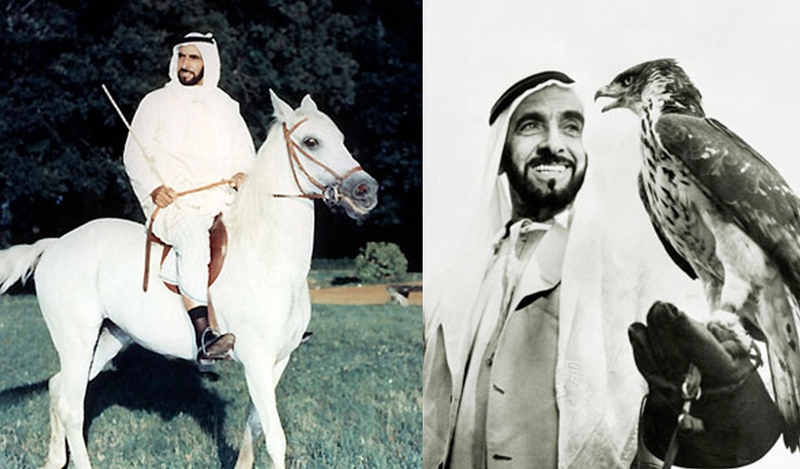 Sheikh Zayed ordered the establishment of a captive breeding programme for the endangered Arabian Oryx in Al Ain, 1968. In 1978 four heads of Arabian Oryx (2 males and 2 females) were transferred from Al Ain to Sir Bani Yas Island. This was the real beginning of the breeding programme on this island, and afterwards many successes were achieved. The number of Arabian Oryx rose to 311 in February 1999 and by the end of 2011 the island hosted 450 Arabian Oryx. 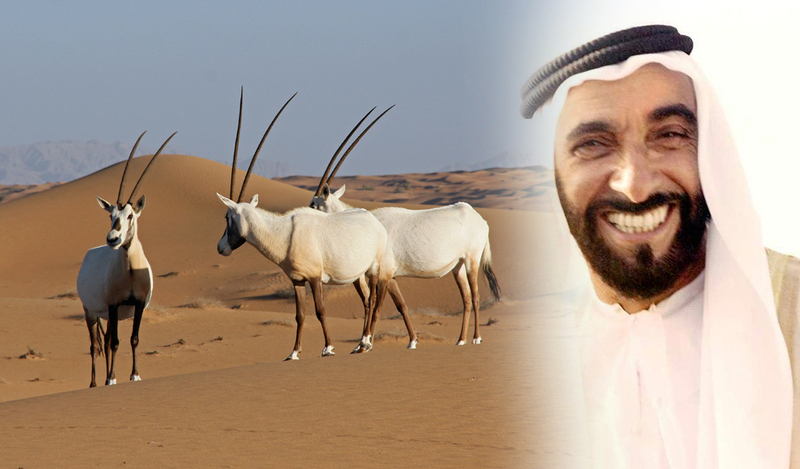 Sheikh Zayed’s programme led to Arabian Oryx release programmes inside and outside the UAE. Thanks to Sheikh Zayed’s environmental vision that made the UAE a leading state in the region in protecting the Arabian Oryx. The year 2006 witnessed another achievement for the UAE, the first herd of Arabian Oryx was released in the Arabian Oryx Sanctuary in Umm Az Zumul, Abu Dhabi. The UAE now hosts the largest number of Arabian Oryx in the world with around 4,000 animals. The efforts of the UAE extend to cooperate with Arabian Oryx range states in the region to enhance the release programmes in these states. Sheikh Zayed’s interest and care about the desert and its wildlife, especially the Arabian Oryx, were reflected in his speeches and poetry.